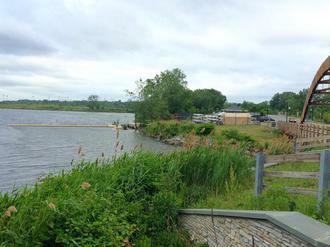 Our boat pen is located right next to the double arched bridge in the Teaneck section of Overpeck County Park. Enter the park either on the Ridgefield Park or the Leonia side, and follow the road to the bridge. You will see the boat pen right next to the Kajak and Canoe Center of the Hackensack Riverkeeper.